A girl’s bed room gets an interesting valance! When I get the request to design a child’s bed room, I get really excited!!!! 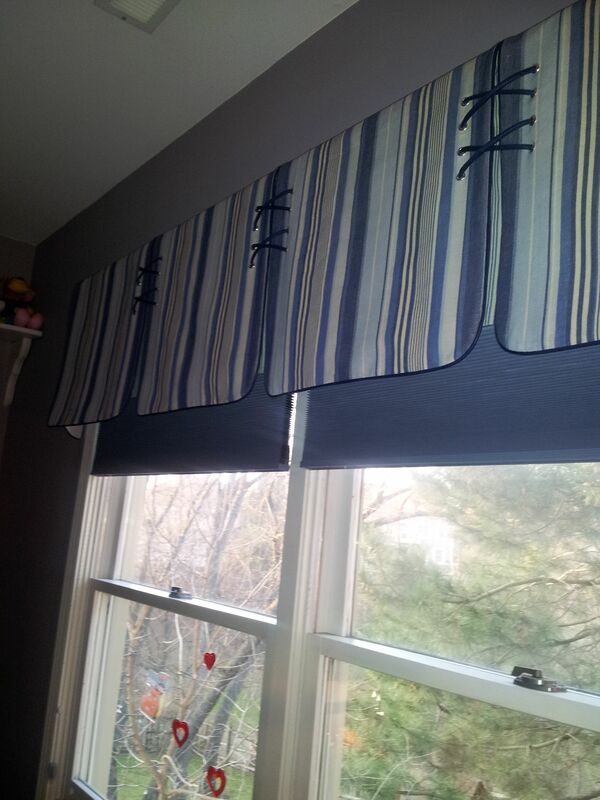 Recently I got a call from a Naperville resident to design a valance for his 10 year old daughter, he mentioned that his daughter is into sports and very athletic, she is not much into pinks and frills, she likes her window treatment clean and simple. He also mentioned the need for shades to keep the sunlight out, to help his daughter to sleep in on weekends and Holidays. 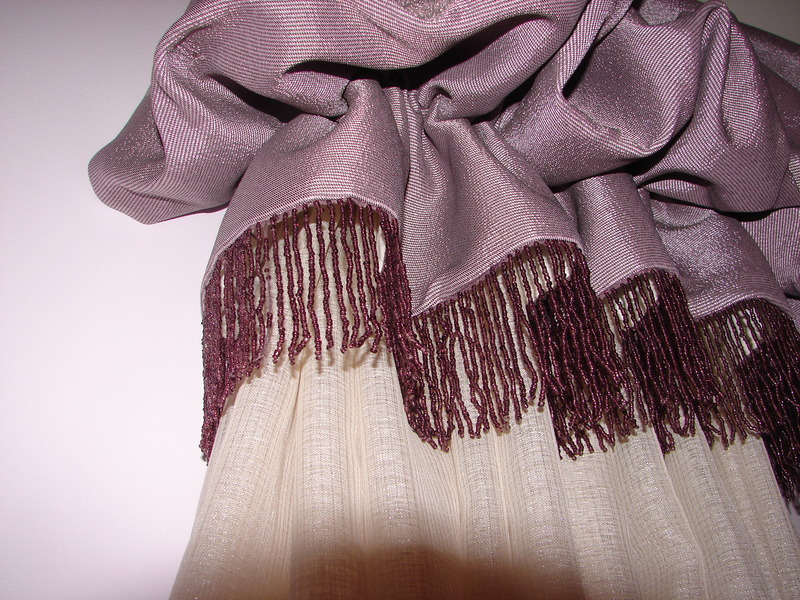 The valance design consisted of four separate parts connected together with lace that resembles athletic shoe. 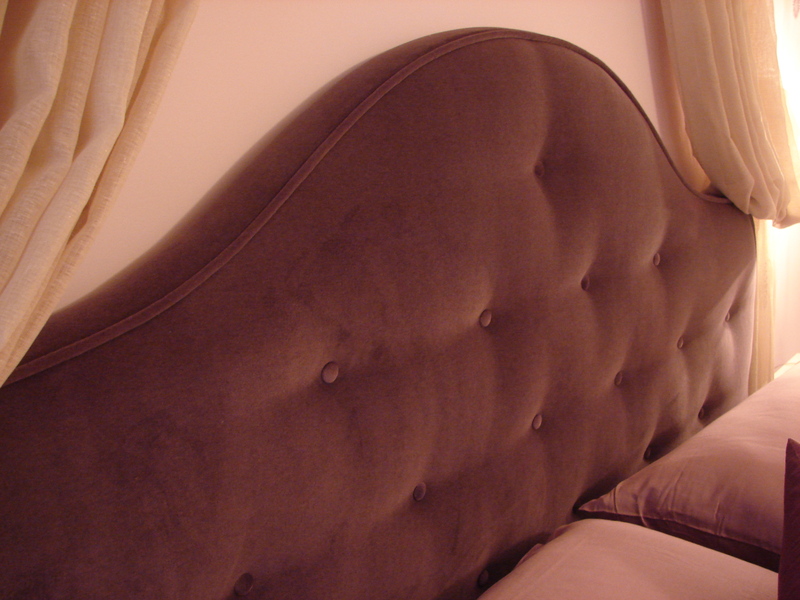 Each part had a curved edge on the bottom of the valance to add that softness and femininity. Two shades (Room darkening, Applause shades by Hunter Douglas) was provided to keep the sun away as well as providing saving on the energy bills, which came as unexpected bonus to the dad! Do you want to get your home ready for the Holidays? It is not too early to start now! It’s only September, but if you want your home ready for the holidays, the time to start thinking about window treatments is now! Before meeting with a professional, start an idea file for yourself; gather colors you like, magazine photos, advertisements, articles, etc. into a folder. Eventually, a pattern will start to emerge in your creative thinking. This will make it easier for you to convey your tastes and your dream vision to those working with you on your window project. Stop by at your local magazine stand, which is sure to carry some decorating and interior design magazines. Go forth and clip away! Take advantage of our 1 hour free consultation and free estimate call (630) 420-0800. We talked about how important it is to redesign children’s bedrooms to help them get motivated and do well for the new school year. As we said before, get the child involved. Have him or her pick a theme. 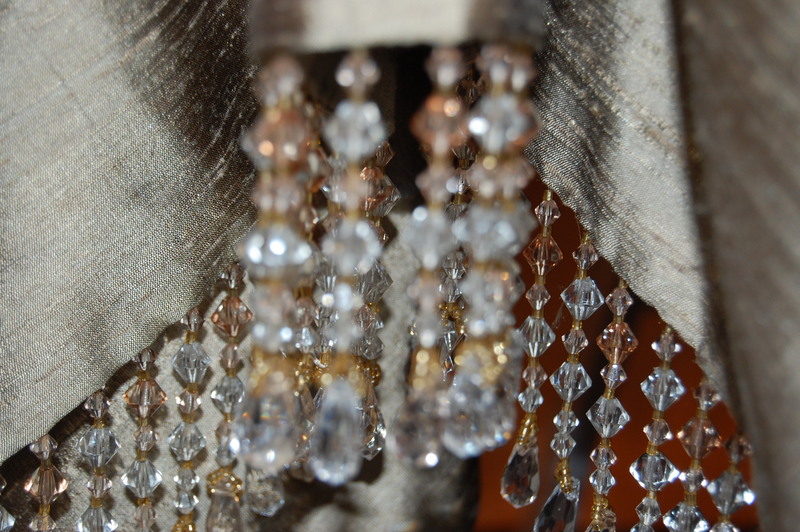 Once the theme is selected, research the colors, designs, fabrics, and textures that you need to create the theme. Once you choose the fabrics, decide on the colors to use. Again have the child pick his or her preferred colors. You need about three colors: one major color that will cover 60% of the room, like the walls, a secondary color that will cover 30% of the room, and could be used on furniture, bedding, and draperies, and finally an accent color that will pop up here and there, like pillows, lamps, and decorative accents. 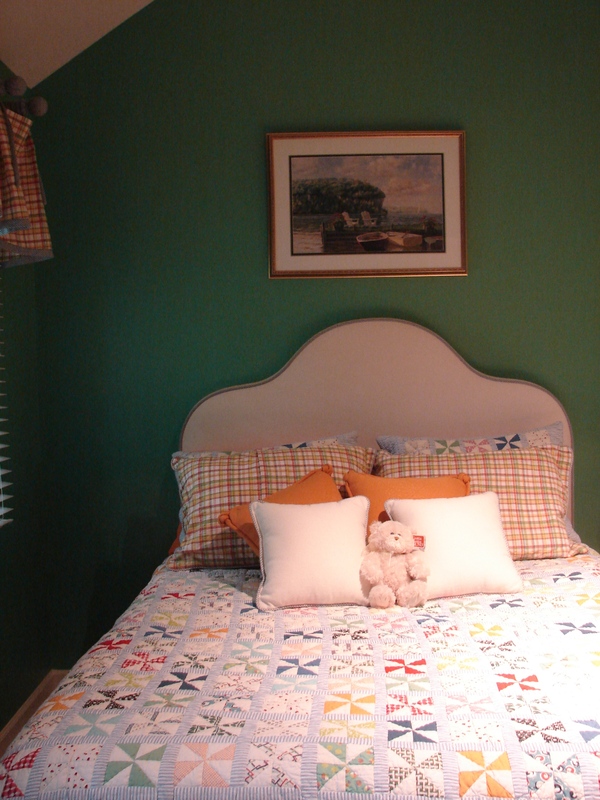 The accent color should cover 10% of the room. 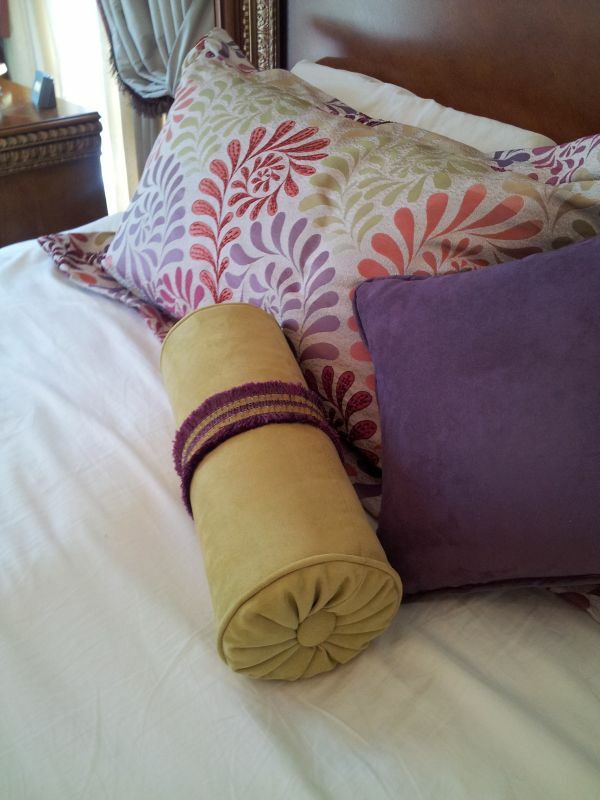 Be creative with the window covering, bedding and your furniture selection. 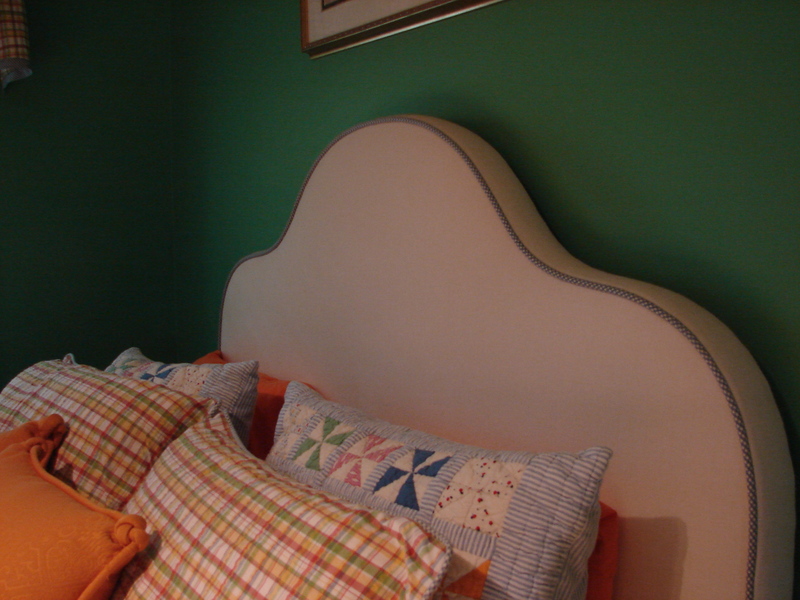 A custom headboard that coordinates with a valance, beautiful decorative pillows, and useful accessories are areas to show talent and creativity. Research what is available as far as shades, bedding, and furniture. For example Comfortex has what it is called the Persona shade. The Persona shade is really cool, because it can be customized by using your theme logo, your child’s name, or any design you pick. Research what is good for energy saving, room darkening and acoustics to help reduce the noise of the outside world. 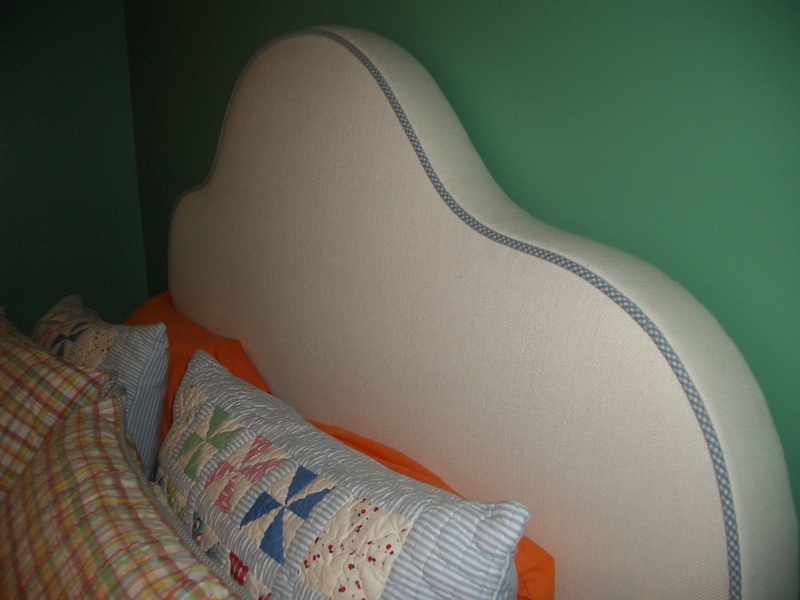 Child safety must be the number one priority when designing a child’s bed room; shades should be cordless to avoid the possibility of chocking or strangling. Use materials that are natural fibers and if possible anti allergenic. Make sure all furniture fit properly, and the proportions are correct. The room should not be overstuffed. Ask about the manufacturer’s guarantee to make sure that what you’re purchasing will last for a long time. Good luck with your decorating! And please do not hesitate to schedule a free phone consultation! Call (630) 420-0800. Dining room in Lisle Illinois get a face lift! Plain walls, cream colored upholstered chairs, and naked windows was not what my client wanted for her dining room! The color scheme: She expressed the desire for warm bright yellows, greens, burned tangerine for a preferred color scheme. The design: Traditional, but simplified. 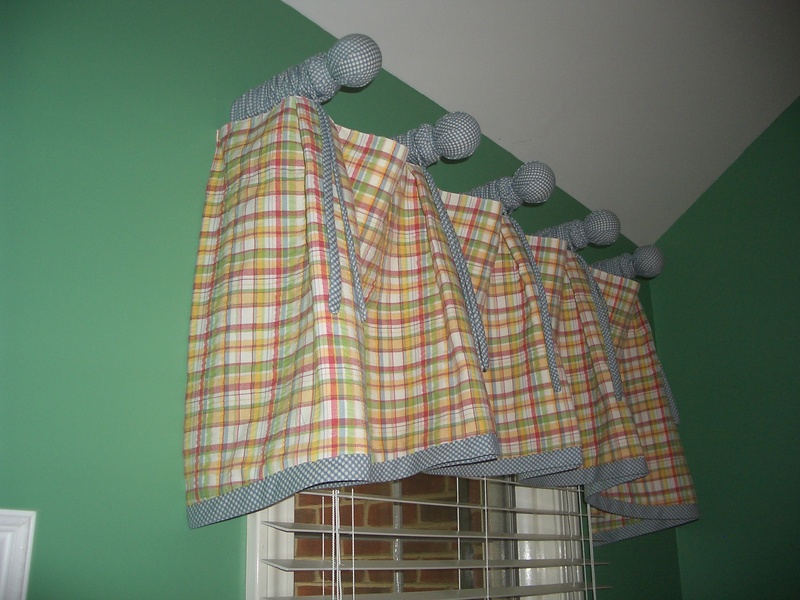 Window Treatment: Privacy is important, simple yet elegant draperies, not too traditional, more transitional. Walls: A modern clean finish. Here are the solutions: Paint the walls in wide strips in two shades of a slightly muted yellows for bringing energy and stimulating the appetite. The chairs reupholstered in two different fabrics, the back in a brick colored velvet and a tapestry in yellows greens and burned orange. Hunter Douglas shades for privacy with drapery panels in soft yellow silk, trimmed in a scrumptious modern trim. The panels added luxury, warmth and the finishing touch the window needed.